Summer Wedding? 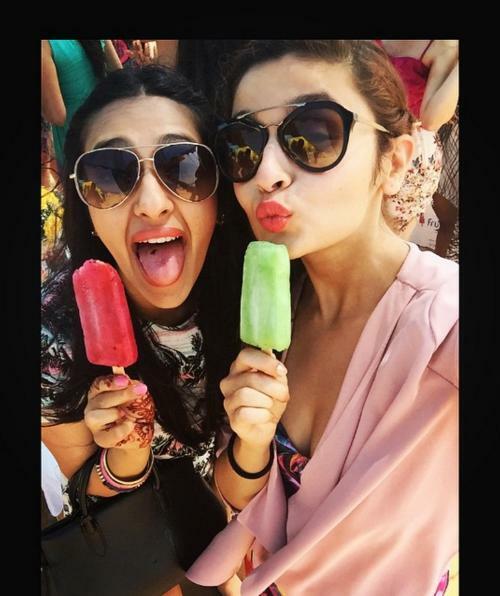 Here’s How You Can Beat The Heat! Hey ladies! It’s March already and summer is taking shape. And for those of you getting married during the summer months, rejoice! Yes, because summer weddings too have a charm of their own. The only thing you’ve got to make sure is that you keep your guests cool! 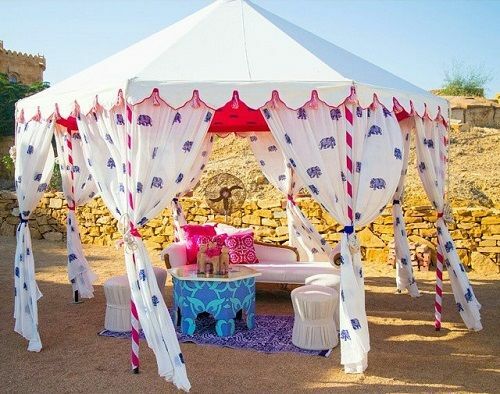 We’ve got some fab ideas to keep your guests cool at a summer wedding! 1. Aam panna is so cool! Image: Withlovenilma on Instagram Having an aam panna station at your mehendi or sangeet is super easy to do and your guests are going to love gulping down this summer drink! 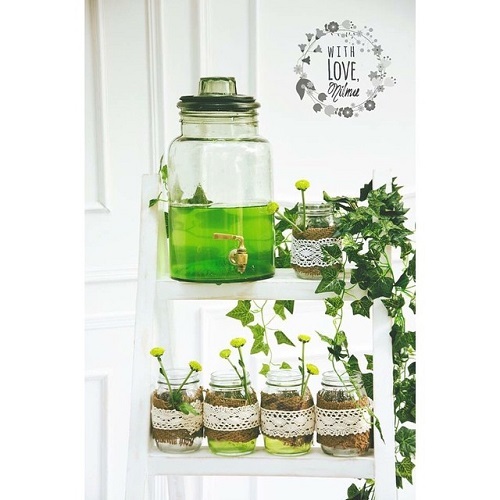 It keeps your body temperature cool and a setup like the one above adds tons of earthy charm to your decor too. 2. 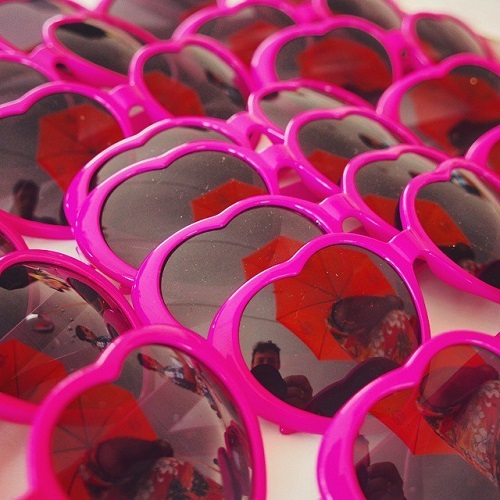 Put your sunnies on! Image: Devikanarain on Instagram Bright sun doesn’t really feel too good to the eyes and squinting can ruin pictures. So have a basket with cute colourful sunglasses for the guests to pick up. It’ll be a nice quirky twist to your afternoon function. Have your initials embossed to personalise them. 3. How about pretty umbrellas?! 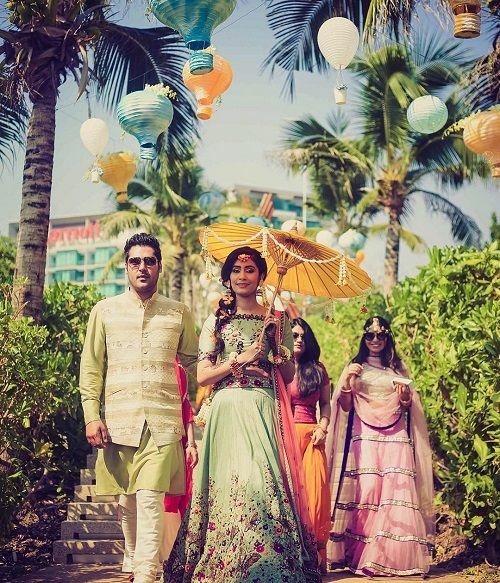 Image: Morviimages on Instagram Pretty parasols or colourful Jaipuri umbrellas can totally help your guests fight the summer sun. Have tons of them stacked at the entrance of your venue and let the wedding party pick up the one that matches their outfit! I can’t even image how gorge the pictures will turn out to be! 4. Up for a rain dance anyone? Image: Devikanarain on Instagram So how about combining one of your afternoon ceremonies with a rain dance or a pool party?! It’s guaranteed fun and sure to keep your guests chill. 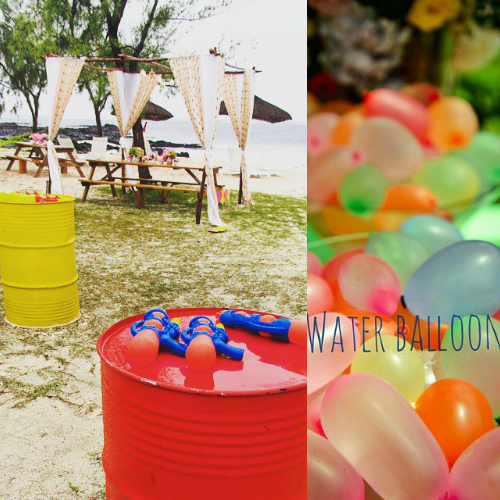 If that sounds too much, you could just have a ‘Get Wet’ zone with props like water guns and buckets full of water balloons! Image: Morviimages on Instagram All the ladies fanning themselves with pretty hand fans would be quite a sight, na?! We are sure all your girlfriends will love taking pictures with a pretty Chinese fan in their hand. It can also be a giveaway for your mehendi or haldi. 6. 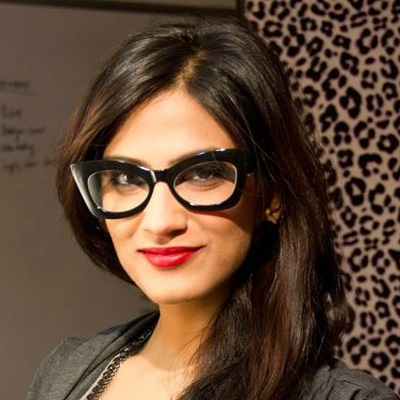 For the love of chuski! Image: Devikanarain on Instagram And it doesn’t have to be boring! Ask your decorator for printed fabrics and colourful cushions. Station a vintage table fan and enjoy the functions without feeling the heat. HAVE A STORY IDEA FOR POPxo? If you want to hear about it, we can write about it! Just tell us your idea here! 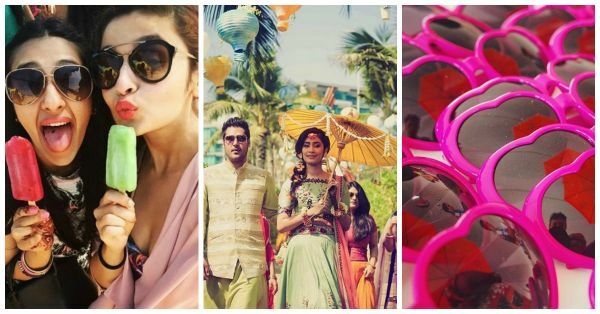 MUST-READ: 5 Amazing Ideas To Make Your Mehendi Memories The BEST! MUST-READ: Floral Decor Ideas You’d LOVE For Your Wedding!